How does 3-D printing technology affect an 80 year old plastic knob and custom plastic parts manufacturer? That was one of the questions that was asked to Derran Smith, President of Davies Molding, in a recent interview on CEO Intronet. 3-D printing prototypes are often very helpful when converting a metal part to plastic. Plastic parts are dent-resistant and lighter, and utilizing 3-D printing to prepare the prototypes allows the conversion process to move faster. 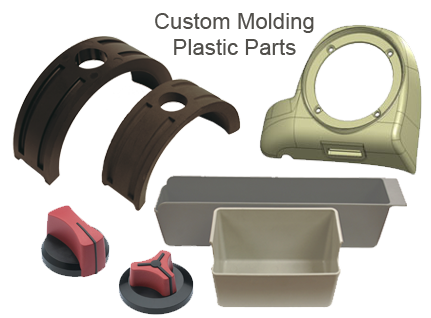 Davies Molding has manufactured several metal to plastic conversion parts for the food service, commercial HVAC, and automotive industries. Details of these projects can be found in our custom molding portfolio. 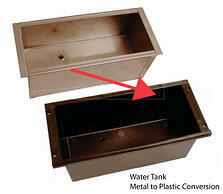 Want to learn more about metal to plastic conversions? Download our free ebook “The metal to plastic conversion guide to reducing costs”. View Derran Smith’s complete interview below or click here. Shifter knobs can be found in vehicles, cranes, tractors, and other types of machinery where manipulating gears are required. Davies’ shifter knobs can be customized to meet specific requirements such as operating instructions or customer logos. Secondary operations include laser engraving, pad printing, or hot stamping, applying inlays or mylars, color matching, drilling, machining, and a new finishing trend- hydrographic printing. Hydrographic printing is a popular trend for adding customizable designs, colors, and textures to shift knobs. As you might have guessed, it's a water-based printing process and a high gloss polyurethane hydrographics clearcoat makes the printing durable and long-lasting. Spectrum Industries, does a good job of describing the process in 6 easy steps. 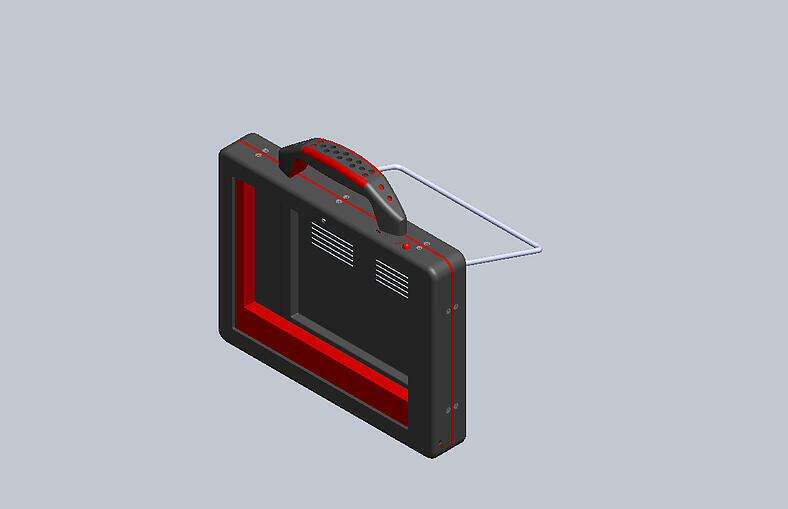 1) Parts are loaded onto custom tooling. 2) Parts are prepped by washing or painting. 4) Parts are dipped in the hydrographic printing bath. 5) Top coat is applied based on the application for the part. 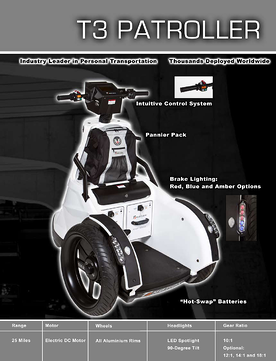 Exterior and Interior durability options. 6) Parts are inspected before shipping. Check out this neat video of how hydrographic printing works. 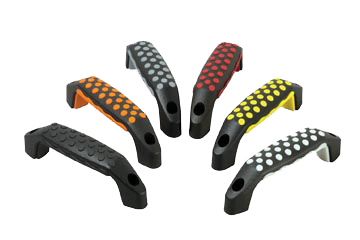 Plastic knobs designed for heavy equipment and industrial use are available in a wide range of sizes, but the most popular are ball and lever knobs. 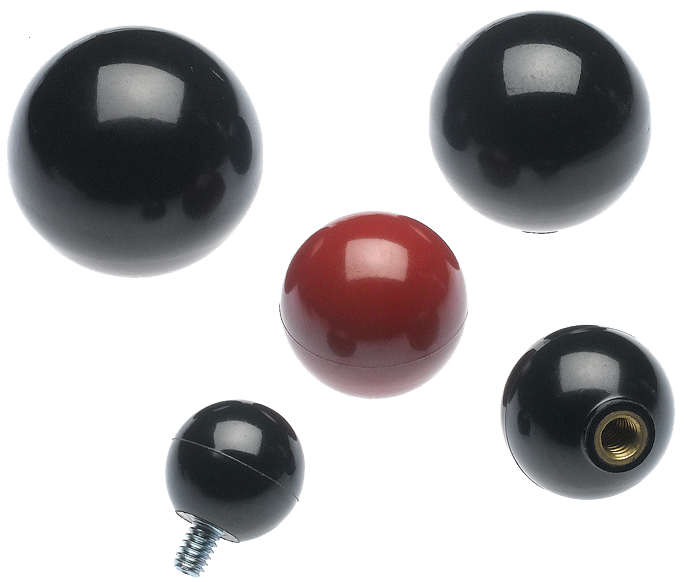 Our ball and lever knobs come in a variety of styles and sizes and are available in phenolic, nylon, or polypropylene. 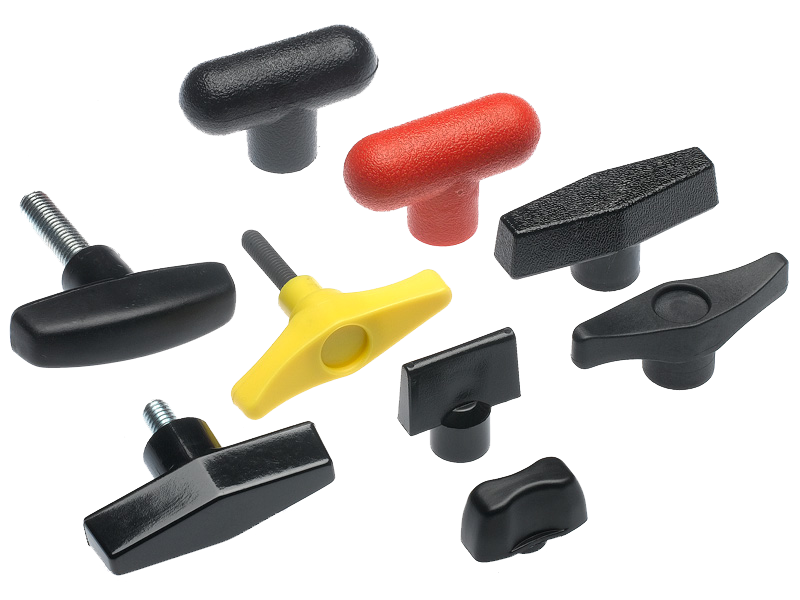 Phenolic materials are typcially stonger that thermoplastics like nylon, and are a popular choice for durable, long-lastic shifter knobs. However, thermoplastic materials such as nylon have a high impact strength, and can be molded into just about any color you can dream up. And now with hydrographic printing, you can choose the material you want and add a customizable finish that makes it yours. Want more information? Check out our hydrographic printing info page or call us at 1-800-554-9208. 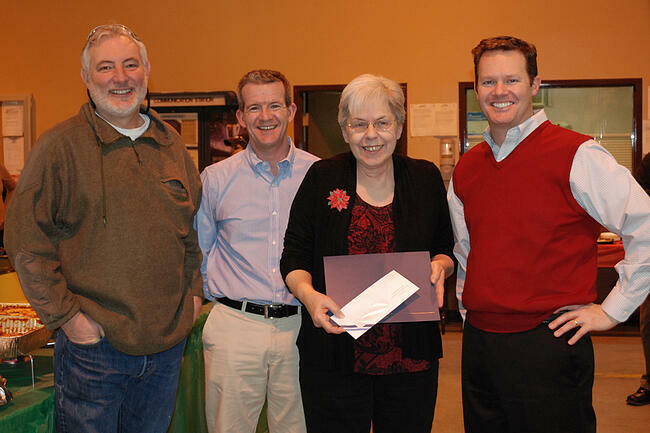 It was an extra-special celebration at our holiday luncheon this year. The food was pretty good, the speeches were encouraging, but the annual employee anniversary awards were downright awe-inspiring. 15 and even 20 years of service seems relatively common in the manufacturing world, but 30 and 45? That is true dedication. Davies Molding has been molding custom plastic parts for over 80 years, and we attribute a large part of our success to the dedication of employees like Barb Hanson, who celebrated her 45 year anniversary, and Carol Cimino, who celebrated her 30 year anniversary. Here is a list of all of the employees that celebrated their anniversaries - Congratulations! Nothing is more important than choosing the right material for your plastic knob or handle. Careful consideration of the end user and application can save time and money in the long-run. Don’t know where to start? Here is list of materials and their applications to get you started. Talk to our highly trained technical sales and engineering staff if you have questions. We work with hundreds of various materials and constantly reviewing new materials as they come on the market. 1) Material- Thermoplastic Overmold. This material provides a soft feel and touch that allows a better grip and long-lasting comfort. 2) Color! So long boring black. Check out the picture of some of the colors in the assortment. 3) Style. "Design with function" is not just a term that fancy product designers use- it's how we describe the 4570 industrial handle. Customizing the color allows you to differenciate your product and feature unique details in your application. 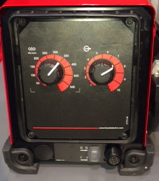 Cool new Davies Molding plastic knobs on welding machines. They're soft touch overmold knurled control knobs and they look great on these machines, don't they? Terrific Tradeshow Swag. Thanks to generous vendors, I came back to the office with a bag of goodies, from "Keep it made in America" key chains to nifty tote bags for my coworkers. But my prize "swag" from the show was a metal hanger from Swagelok -2 pieces of the hanger was welded together at its booth in a demo. That one I gave to my boss, of course. Custom Knobs: just like Burger King- we make them your way! Having the right color part is very important for many applications that require knobs, either because it is functional, industry or product specific, or for appearance. The standard color for phenolic material is black. Other colors are available, but usually cost more. Red is the second most popular phenolic knob color, typically used for ball or lever knobs. Unlike thermoset phenolic, thermoplastic materials have a very wide range of available colors. In many cases you can match your color target exactly to a PMS number. In addition to color, knobs can be customized with a variety of finishes. One of the most popular finishes is laser engraving, and then pad printing, for adding instructions or a logo to your knob. 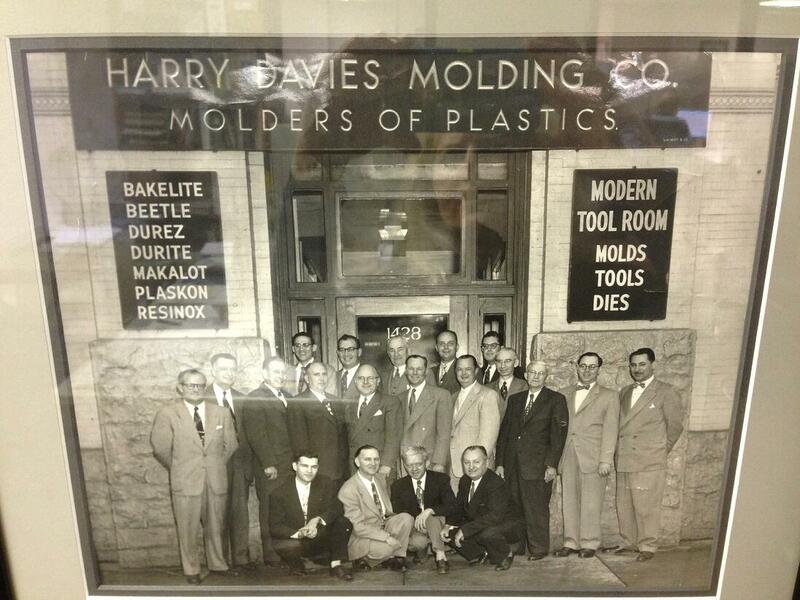 At Davies Molding, we have over 80 years of experience making custom knobs for companies in a wide range of industries. We will be happy to assist you in choosing the right finish for your application. Contact one of our experienced account representatives at 1-800-554-9208, who will be happy to assist you with your knob needs! 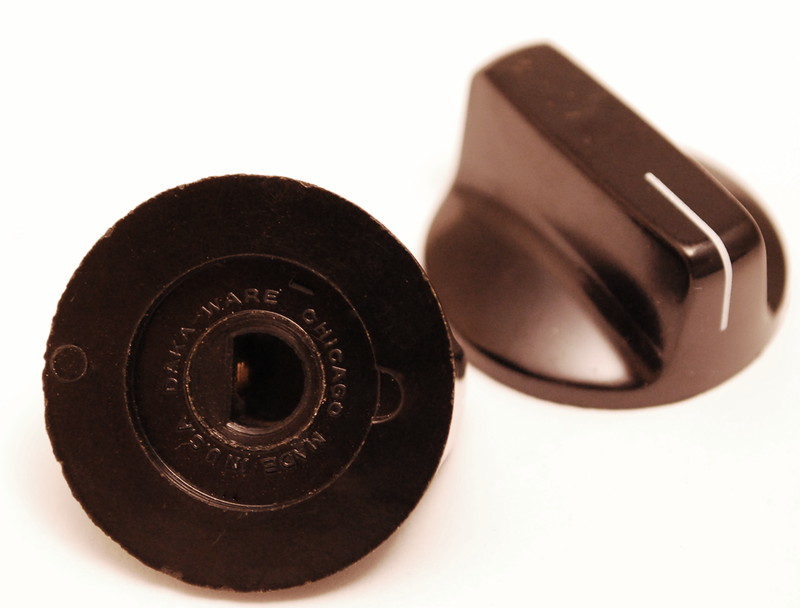 There are a variety of plastic knobs that are particularly suited for manual valve controls. 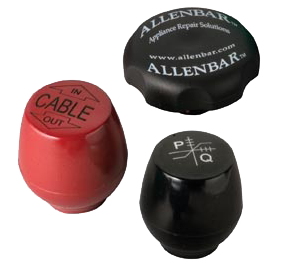 “T” or Bar knobs are the most popular plastic knobs used for manual valve control applications. Here are examples of different shapes of bar knobs available. Female insert, projecting stud and thru-hole options. Knobs can be decorated or branded to your specific need. 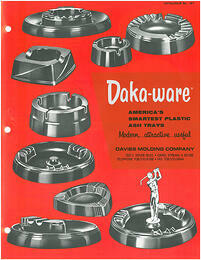 Contact Davies Molding for a free sample or call us at 1-800-554-9208 to discuss your custom molding needs.